TWO Nationally Recognised Training Certificates in one course! plus extra benefits! Click here to view and enrol. [Save over $500 on SYOBB programs]! BI-570 course: This course can be offered as a one-on-one at any stage. Call to discuss. Subsequent instalment payments of 5 interest free instalments of $150 per month by credit card. **Option ONLY available for payment by Visa or Mastercard. Refer to our cancellation policy regarding refunds. ** Option ONLY available for Visa or Mastercard credit card payments. Call for full details. Please call if you wish to discuss alternative payment plans. This nationally recognised qualification has been developed for people seeking employment in a clerical position or as an accounting professional. For people who are looking for a career as an employed or contract bookkeeper we offer the FNS40211 Certificate IV in Bookkeeping (incorporating both the Certificate III in Accounts Administration and the Certificate IV) course. 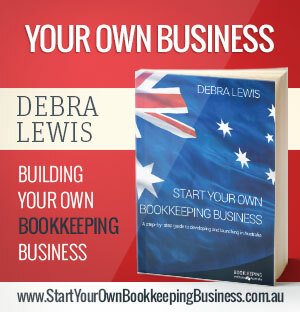 To gain this qualification competence is demonstrated by the answering of short answer theory questions and the successful completion of an open book MYOB assignment, designed to test the students ability to complete a set of monthly and quarterly accounts, including bank reconciliations and a BAS return. 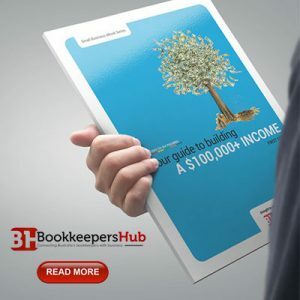 This course includes 90 days FREE membership to the Bookkeepers Hub.